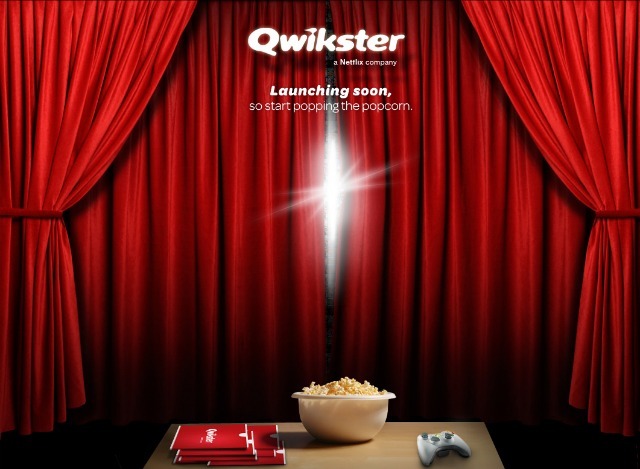 The curtain hasn’t even opened on Netflix’s new DVD-by-mail spin-off company Qwikster, and many customers are already walking out. The company recently revised its quarterly projections of net subscribers to show 1 million fewer customers than it had previously expected. Much to Netflix’s chagrin, folks are realizing that the king of mail-away media isn’t the only game in town. We’ve taken a look at some of Netflix’s (and Qwikster’s) main competitors, and judged each service accordingly. Do the rest offer enough to stand up to the best? Also known as Netflix: Redux. It’s the same service we know and love, only completely different. Faced with massive customer backlash in the wake of a price hike, Netflix split itself into two separate companies this week. The streaming service will retain the Netflix branding while the DVD-by-mail service will be named Qwikster. Netflix CEO Reed Hastings said the split will better serve customers in the long run because each company will be able to better focus on one type of service. Netflix pioneered the DVD-by-mail service, creating an entire industry where one did not exist previously. But after serious flux in Netflix’s new pricing system — which split the streaming and DVD mailing services into two separate plans starting at $8 a month minimum — there’s no guarantee the company’s customers will continue to stick around. WIRED: It’s been around the longest, and is the most familiar service. Massive offering of physical mail-away media. New game rental service sounds intriguing. Streaming to all iOS devices and Android smartphones. TIRED Can you say price increase? We don’t like paying more money for the same service, and we’re failing to see how splitting the companies in twain is going to benefit consumers. Streaming-only service still lacks selection compared to DVD catalog. Amazon’s elite-level service launched in 2005, offering two-day shipping on any of its products to members anywhere in the continental United States and other select countries for a reasonable $80 a year. Originally meant for those who couldn’t wait more than 48 hours for their tangible goods, Prime expanded in February to offer instant, streaming movie and TV show access to existing Prime customers at no added cost. WIRED: Fast shipping on everything Amazon! What other movie service offers that? Lower yearly rate than Netflix and Qwikster. Works with over 100 different web-connected set-top boxes, including the ever-popular Roku. TIRED: Smaller media selection compared to other existing services. Lacks the DVD rental option that made Netflix famous. Redbox made it possible for legions of supermarket shoppers to pick up a movie on the cheap, without having to make multiple stops. 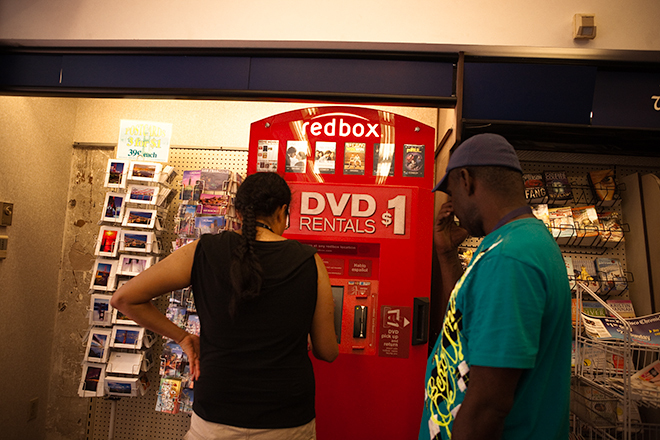 Instead of leaving the grocery store (or 7-11, Walgreens or what have you) with only a TV dinner and a Mountain Dew in tow, Redbox’s 30,000-plus DVD-rental kiosks make sure you won’t go home alone on a Friday night again. WIRED: Cheap, cheap, cheap. DVD rentals average two bucks a pop, with anywhere from 50 to 200 recent titles to select from in each kiosk, updated weekly. Game rentals to roll out this year. TIRED: No streaming service? Bummer.